Psychedelic experiences of ego dissolution may be powerfully therapeutic. 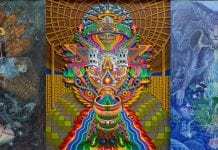 In a recent study, increases in life satisfaction, positive emotion, and mindfulness abilities were linked to the level of "ego death" experienced on ayahuasca. 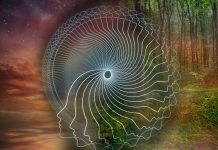 Certain substances, such as DMT, psilocybin, ayahuasca, peyote, or LSD, taken in sufficient quantities, have a strong reputation of being able to push the mind or soul over the edge, allowing it to seemingly detach from its bodily counterpart. Often hard to put into words, this can create a state that some have called ego dissolution, ego loss, or even ego death. Such an experience can be terrifying, liberating, exhilarating, and full of absolute awe. According to new scientific research, these experiences can have a powerful and positive effect on mental health. 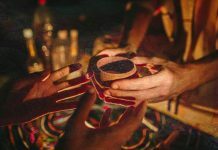 In a recent study on ego dissolution, researchers at Maastricht University examined people before and after drinking ayahuasca in a ceremonial setting. The researchers discovered that positive emotion, satisfaction with life, and mindfulness abilities were “significantly related to the level of ego dissolution experienced during the ayahuasca ceremony”. In other words, people who scored higher on ego dissolution tended to be more positive and have a better outlook on their life after the experience. But why exactly is the encounter with the infinite possibly therapeutic and so intense? Well, to understand this, first we need to consider the architecture of our finite existence. What if all the ideas and opinions you’ve been carefully honing about yourself throughout your life weren’t actually solid and maybe even weren’t really yours? And, taking this a step further, what if even your most basic thoughts and feelings, the things that define you as a person, were never your own to begin with? Try to consider everything you have ever been told and shown about the world, about who you are, how things work, and what actions and reactions are adequate. Throughout your development, all of these external voices eventually came together, creating a complex personality with ideas, desires, ambitions, fears, attitude patterns, beliefs about the world, levels of education, aptitudes, and so on. Starting from your family environment, through your teachers and friends at school and university, all the music idols whose lyrics you knew by heart, all the way to the social circles you move in as an adult, the brands and marketing you’re exposed to, the politics you identify with, the economy and law you abide by, the history and philosophy that make up your awareness, you have been a receiver of information and experiences your whole life. And all this input has become such a present part of you that it’s entirely impossible to imagine yourself as anything but it. This data also gets stored somewhere. Even if you can’t pull it out of your memory on command, it stays in your subconscious mind and shapes the way you think and feel. To make matters even more complicated, most of our memories are not actually the original information but are a new version changed by the new context you remembered them in. This version also morphs depending on what else you have associated with it and degrades with time with blanks filled in based on your desires and fears. We are loaded with falsified memories that help determine everything we do, and they are what we identify with as our selves. Our ego is what we know and who we believe ourselves to be. This is what we, synonymously, refer to as the ego. Our ego is what we know and who we believe ourselves to be. 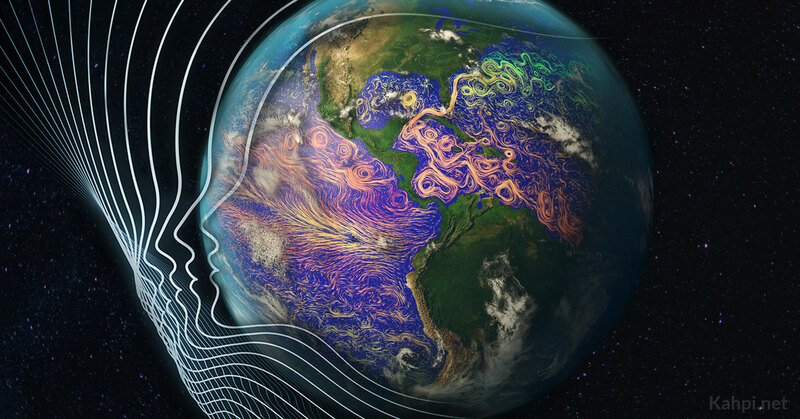 It’s a result of the influence of all the external contexts we have in our experience, not actually us (there is even a complex neuroscientific model that argues for this). So, who, or what, then, are we really? This is quite a question, and the answer escapes verbal explanation and rational understanding. Beneath all the layers of personality, there appears to be some existence. It is beyond definition, because it has no defining features. It’s the mystical concept referred to as the soul. It’s the source of life, fueling our existence from within our bodies, but, at the same time, it may not be fully dependent on this frail husk. Try to imagine forgetting everything: your name, the people you know, the facts you’ve learned, the skills you’ve mastered, the places you’ve been to, all loves, all fears, all desires, all needs, money, language. What is left? A free, floating entity, eternal, self-sustainable and bound by nothing—pure, intelligent light that’s aware of, and connected to, all existence. The soul is life itself; it’s pristine energy, part of the infinite and finite at the same time. Reaching full egolessness is, of course, quite an ambitious goal. The closest concept we can compare it to might be nirvana, as described in Hinduism and Buddhism, although even enlightenment in this way is still somehow tethered to the realm of humans. Attaining nirvana entails freeing the soul from desire and the causes of suffering, achieving omniscience, and living in accordance with the basic truths of existence. It is this point of reaching this mystical state that most likely offers an experience of ego dissolution and a chance to feel, if only for a brief (but seemingly infinite) moment, what it is to only be. Meditation and other mindfulness techniques seem to be a valid path to shedding layers of the ego and, perhaps, with utmost dedication, to completely dissolving it. Another way, which is greatly supported by practicing mindfulness or some other spiritual path, is through the use of psychedelics. 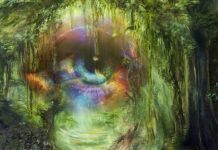 When we take a high dose of ayahuasca, psilocybin, or LSD, etc., we can go through numerous experiences that might make us question the fabric of reality. At the beginning of the trip, sensory changes are abundant: the field of view expands, sensitivity to light and color increases, sounds and music are felt with the body and seen as twirling colorful lights and shapes when we close our eyes, smells are more intense and deep, things we touch can cause tingling sensations, while our whole body can feel like it’s melting into the ground we’re sitting or lying on. It’s almost as if the physical aspect of our existence were opening up to receive more information. Similar processes happen on the inside, too. 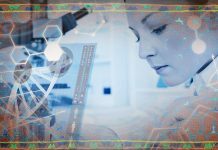 Research has shown that novel neural connections are formed under the effects of LSD between regions of the brain that normally don’t communicate with one another. These connections have been shown to persist over time and are reinforced by repeated psychedelic experiences. Sensory enhancements can be both an enjoyable and meaningful aspect of taking psychedelics. However, if anything, they attach us more to the body and its experiential qualities. True ego dissolution lies well beyond this realm. Many diverse psychological and spiritual pursuits are to be found between these two states. Endless opportunities arise to reevaluate our lives and assume new perspectives in dealing with our hardships. There are the dark paths, which hold the seeds of growth in the center of the suffering; and there are light ones, which can flood us with abundant self-forgiveness and support, showing us that acting out of love is the best we can do, and that this best is good enough. There are feelings we’ve never truly felt, even though we had heard words that point to them, such as awe, humility, transcendence, infinity, freedom, sacredness, and stillness. And then there are the feelings that words don’t even exist for. At the end of the line though, there is the sensation of death. Or what feels like the closest to death we can lucidly approach and still return to tell the story. 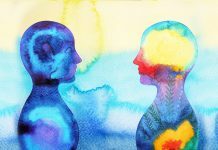 The term “ego dissolution” is often used synonymously with “ego death” or “ego loss”, and for a good reason: this process can actually feel as if we are physically dying. This is understandable; when all we know about ourselves disappears, we are truly left believing that who we are no longer exists. Ego dissolution is an ecstatic state, characterized by the loss of boundaries between the subject and the objective world, with ensuing feelings of unity with other people, nature, the entire Universe, and God. It is highly plausible that the effect of ego dissolution can account, at least in part, for the therapeutic potential of psychedelics. There is now ample evidence suggesting that substances like psilocybin have long-lasting beneficial effects on subjective well-being and can reduce OCD, anxiety, and depression long term, even from a single dose. LSD’s potential to treat anxiety disorders and ayahuasca’s power in fighting depression are becoming recognized as well, as this kind of research is just starting to unfold. 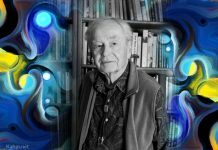 An interesting recent article suggests ego dissolution and unitive experience are central mechanisms at play in psychedelic-assisted psychotherapy and possibly the future of treating mental illnesses. The author argues that the emotion of awe, caused by mystical experiences, promotes the activity of the “small self”, which he claims is the apparent key to understanding the effects of these experiences in a therapeutic context. Ego dissolution appears to be potentially very beneficial to healing with psychedelic therapy. As daunting as it may appear, the ability to temporarily experience the loss of the ego and become everything seems to hold a great secret, a key for unlocking new visions of the self and for remembering what feels like a pure state of well-being. But like all psychedelic therapy work, it’s up to the individual to take this insight and new perspective and actively integrate it into his or her life. Ego death is just the beginning; the rebirth is the real journey. Born in Asia, grew up in Europe, lived in the Americas, Xavier's unrooted existence fuels his instinct for exploration. With a background in research psychology, he tries to reconcile the astounding nature of the realms beyond with what sense we can make of them in this one. 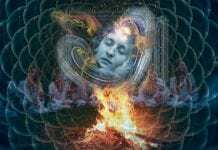 What Does Ayahuasca Have To Do with Ancestors and the Dead?